NEPA is seeing its first real winter in several years in 2014. Oh, previous years have had some snow, and some stretches of cold, but nothing like the extended period of subfreezing temperatures that we endured from early January through mid-February. And snowfall after snowfall - none of them measuring up to things like the Valentine's Day Storm on 2007, but when you consider that each one fell before the previous one had melted at all, the total effect was enormous - and, in the cases of collapsing buildings due to overloaded roofs, disastrous. 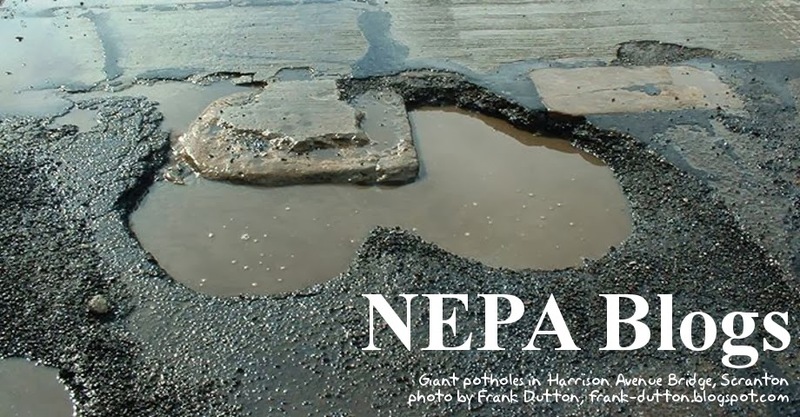 The effect on the roads of NEPA has been pretty disastrous as well. Since we've gotten away for several years without any major extended freezes, we've also gotten away without too many pothole eruptions. That ended this year, and it seems that all the potholes that should have formed in previous years (but didn't) decided to make their presences known in 2014. If you can make it through the rest of this winter without any pothole-related damage to your car, consider yourself fortunate. 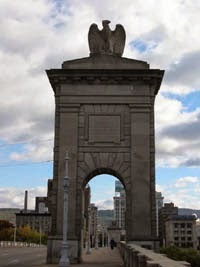 Do you have a photo that reflects some aspect of life in NEPA? Send it to us at nepablogs@gmail.com and we'll use it as the header image for a week! Our PA Live! Blog of the Week this week is Cori Preston's Coriosity (http://blog.coriosity.com/). Coriosity is a "Life" blog, and as such it's hard to characterize beyond that - as hard as it is to characterize someone else's life. On this blog Cori Preston shares things she likes - books, fashion, movies, events - as well as tidbits of her personal life, such as the process of planning her own wedding! Cori has been sharing things on Coriosity since March 2012, and she was one of the participants at the inaugural NEPA BlogCon in September 2012. Everyone has something to say: a story to tell, an opinion to share, a point of view that might help others see more clearly. Some people are happy to do this by dribbling out their information on Twitter tweets or Facebook status updates. But those updates are quickly lost in the deluge of information on those sites. Blogs provide a more robust and accessible place to record your thoughts, in a manner that will ensure that you and others will be able to find them today, tomorrow, and years in the future. Life blogs like Cori Preston's Coriosity give excellent ideas for how you can create your own Life blog! Check it out, and consider starting one for yourself. Yet another snow picture, because THE SNOW NEVER ENDS. 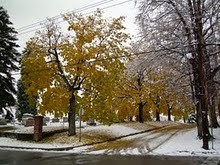 This is yet another from Don Williams, the Susquehanna River Sentinel (http://srs444.blogspot.com). 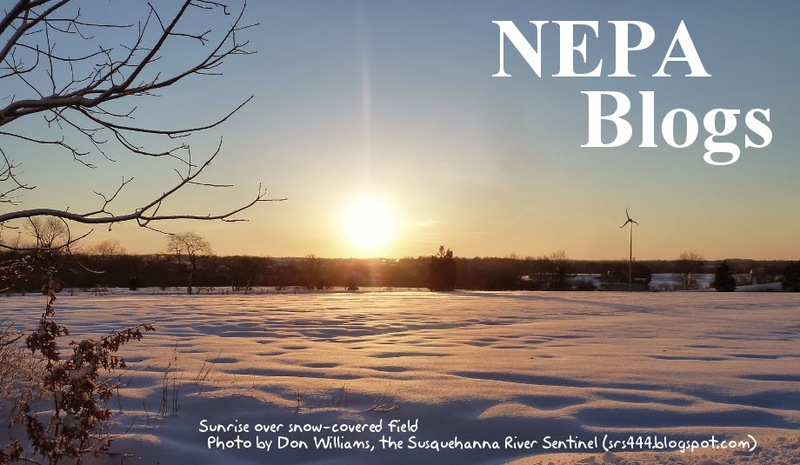 Like the image featured two weeks ago, it shows the sun rising over a snowy field, but this time the field is totally covered. This image was taken on the morning of Valentine's Day. Even still yet more snow has fallen since then! If you have an image you'd like us to feature as the week's header for NEPA Blogs, drop us a line at nepablogs@gmail.com. Thanks! Here's a new blog by Scranton's Sabrina Hannon. New posts are promised for every Sunday. Watch to see how this blog develops! The musing of a Scrantonian, Patriarchy Smashing, Veggie Eating, Odd Habit Collecting, Party Planning, General Trouble Making, Warrior. New Blog Posts Every Sunday! I had to run to the Wilkes-Barre post office a few weeks ago after work. As I came out I saw the traces of the countertwilight darkening in the east, and I thought "Gee, I wish I had my camera with me." Then I remembered that I did have my camera with me, since I carry it with me at most times. I dug it out of the car and snapped a few shots, complete with cars driving through the lot. As I took this photo I thought that this was probably the last hurrah for Winter, now the snow would melt and it would get warmer. Yeah, right. Like that's ever going to happen! 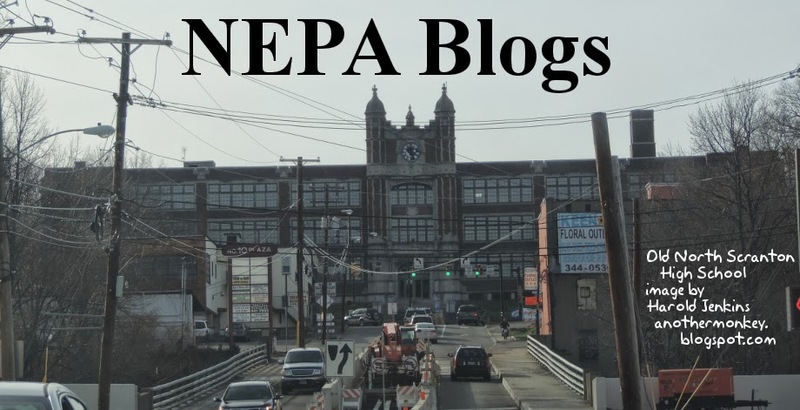 If you have an image you'd like to see used as the NEPA Blogs header for a week, send it to us at nepablogs@gmail.com. 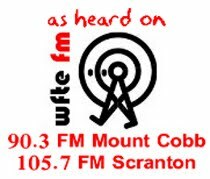 The Blog of the Week will be on hiatus for this week and next as WBRE is airing the Winter Olympics. Expect it back on February 28! I love clothes and looking super cute, feeling pretty, being trendy, and feeling awesome about myself. What I love more than being trendy is saving money and I enjoy showing people how easy that can be. I also love proving that there is a way to look both 20-something and professional in the work place. The days of monotonous business suits are over. Whether you're a student or not, this is a great resource for looking professional and fashionable without spending a fortune. Check it out! This stunning sunrise image is just one in a series of photos taken by Don Williams, the Susquehanna River Sentinel. 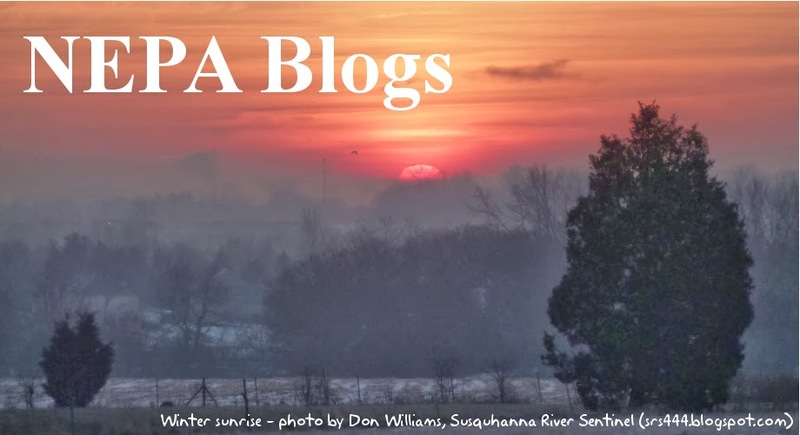 Each one is amazingly beautiful, showing a slight variation from the ones before and after it, and it was difficult to choose just one to be featured as the NEPA Blogs header image. I finally decided to use the first one in the series, which was the first one I had seen. In it the sun is a smoldering, dull red, while the foreground is obscured by a gray haze. In later images the sun becomes a more pronounced red, and then dazzlingly bright, while the foreground darkens in contrast to the sun. This first image is the most alien, and at the same time the most primal, as if an image of a snow-covered landscape just waking up. Be sure to view the complete sequence and see which one is your favorite! 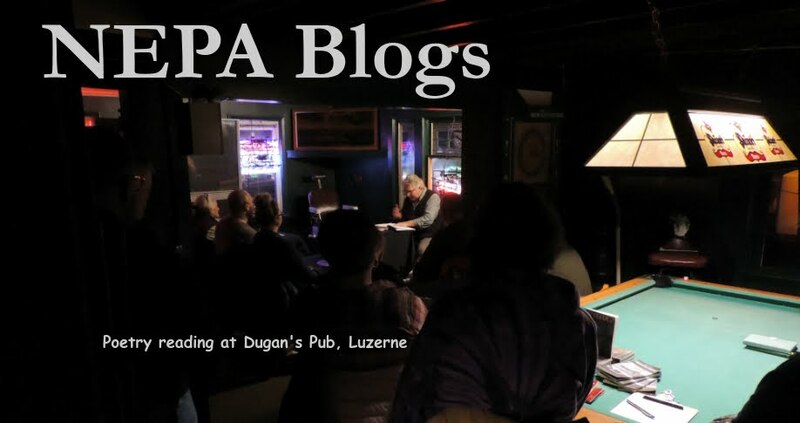 If you'd like us to feature one of your images as the NEPA Blogs header, send it to us at nepablogs@gmail.com. Our PA Live! 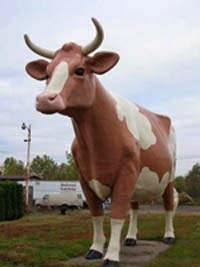 Blog of the Week this week is Agent Palmer (http://agentpalmer.com/). Secret identities are hard to maintain on the Internet. We leave so many footprints and fingerprints online, it usually doesn't take much effort to find out the real name behind the nom de blog. Despite all this, Agent Palmer is trying to maintain a secret identity - successfully, so far. A fun and informative blog letting you indulge your inner geek as Agent Palmer indulges his. The blog promises "all things geek" and certainly delivers: movies, video games, technology, nostalgia, and anything else that touches upon geek life, and then some. For someone with a secret online identity, it might seem strange that Agent Palmer has an online presence that goes far beyond this blog. Check out his About page for a list of links, or find out more by contacting him through his Contact page. Or just visit Agent Palmer and see what information you can extract from his site!